Jeff Caldwell's Patriot on a C6-5. Nice Straight High Flight that showed the upper winds were not as strong as the grund winds. 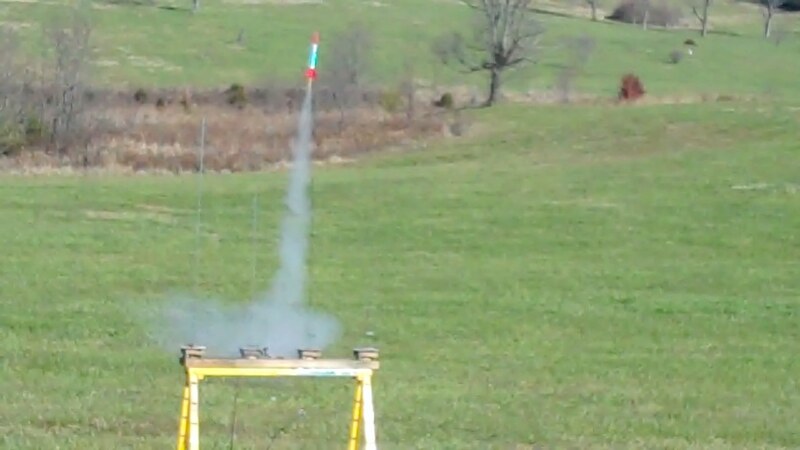 Joe launched his Silver Streak on a 1/2A-3T using a 6" parachute. 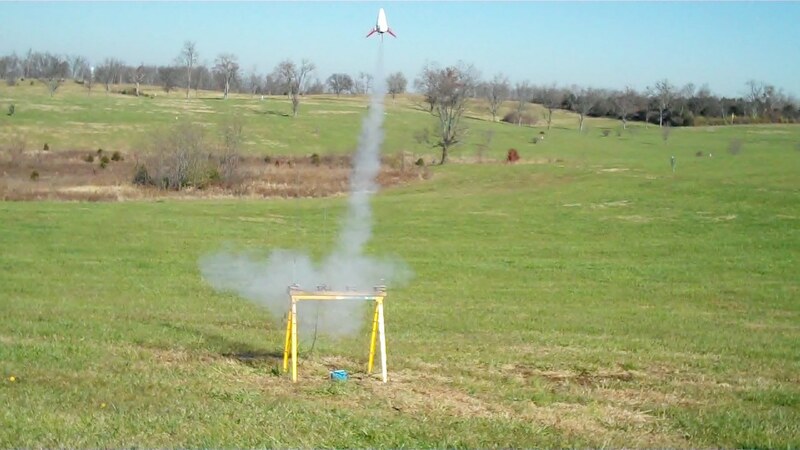 The parachute did not open due to weak ejection charge. 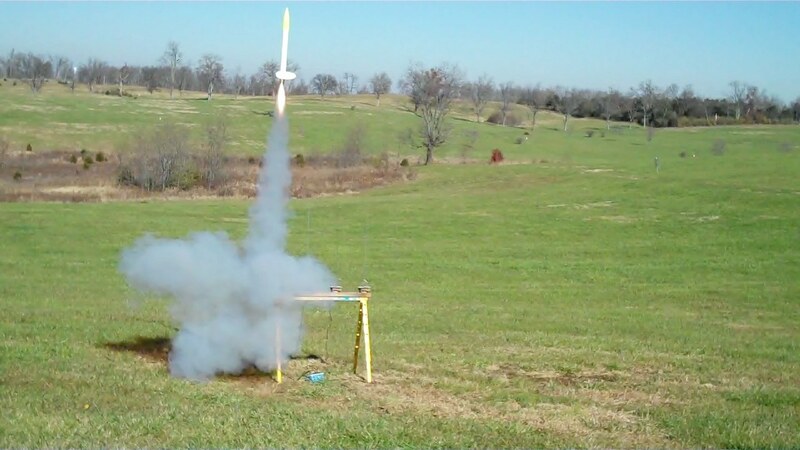 The maiden flight for the Mars Lander was launched by Jeff on a B4-2 against odds it would not reach high enough altitude to open the chute in time. Chute did open just before touch down. No Damage. The Interceptor was built by Jeff deDoming and has a beautiful paint scheme and finish. 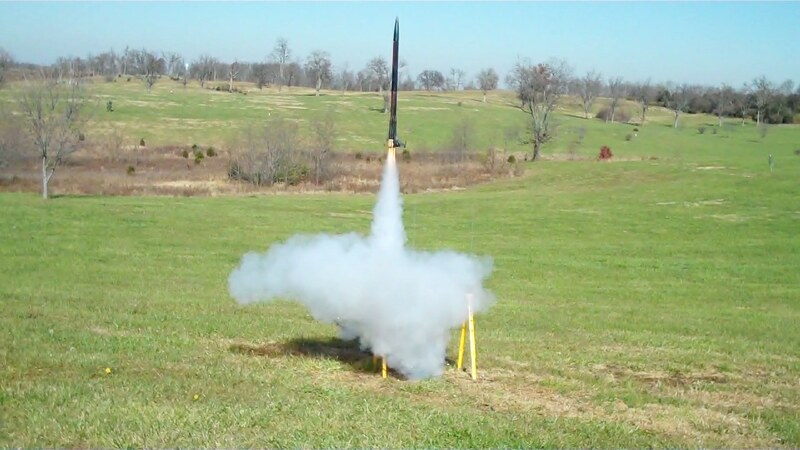 It was launched using a C6-5. Great Straight High Flight. 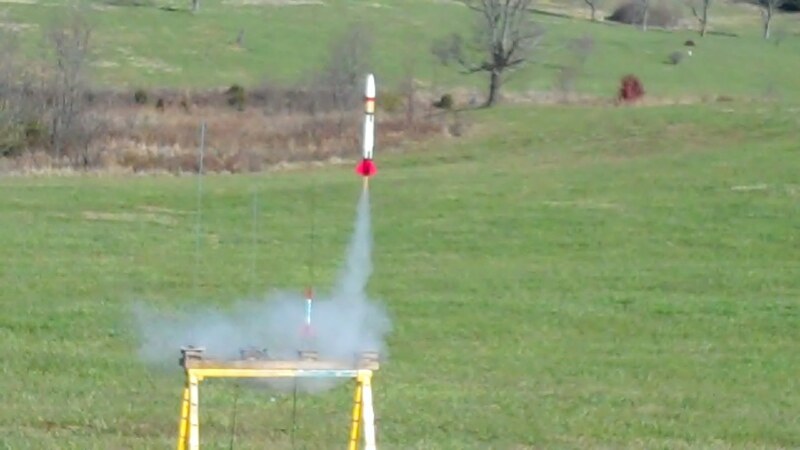 Joe launched his EX-200 on a A10-3T. Good High Flight. 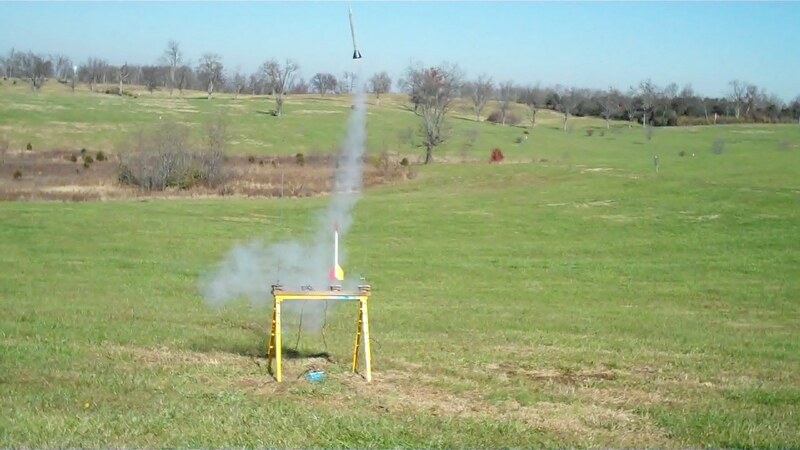 The Mars Lander was launched again by Jeff C on a C6-3. Chute did not open until after model landed. 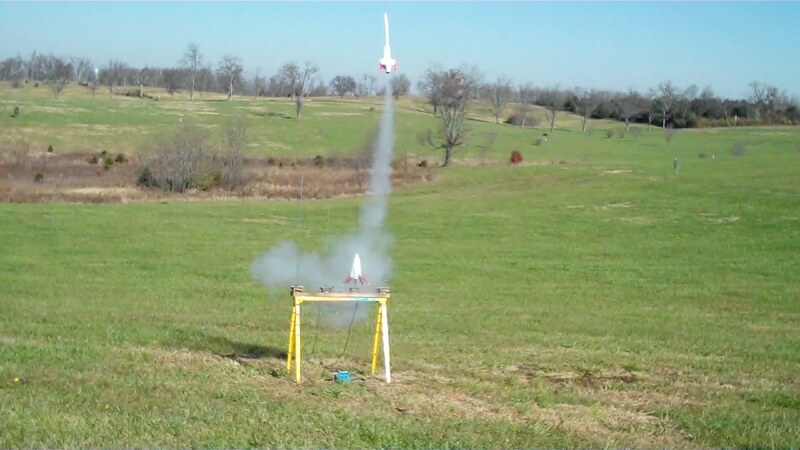 Darryl launched the Hydra 7 model on 7 C6-7s. Lots of smoke but model did not leave the pad. Only 2 motors lit. 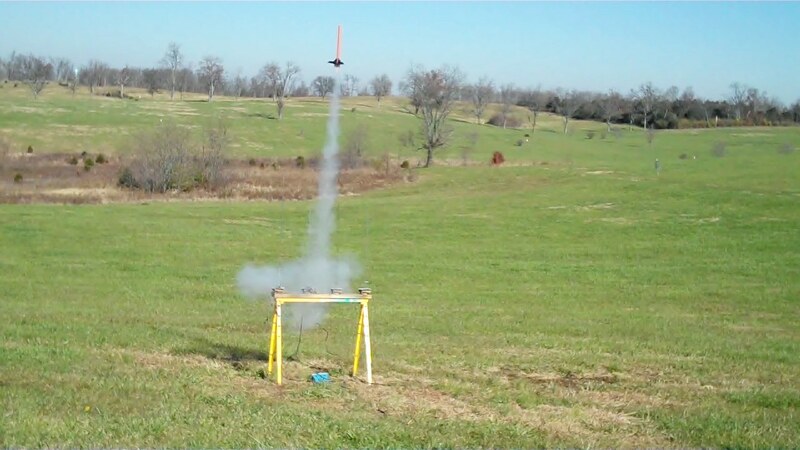 Another view of Darryl's Hydra 7 after the ejection charge released the parachute. 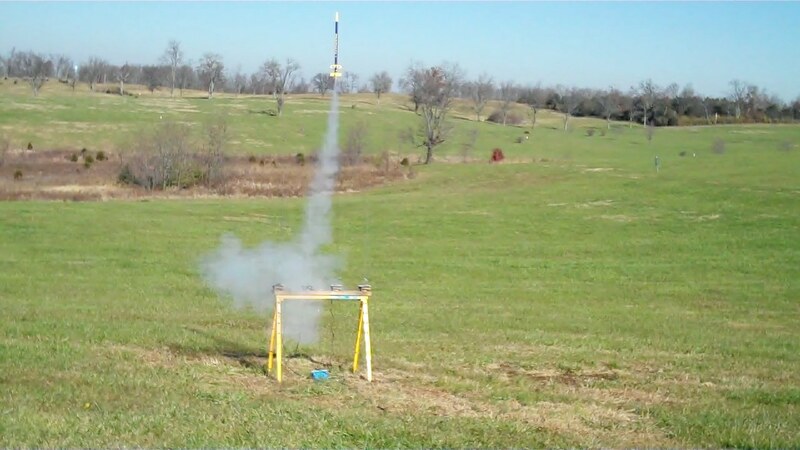 Jeff d loaded the No Name on the pad and launched it with a payload camera on a E9-6. 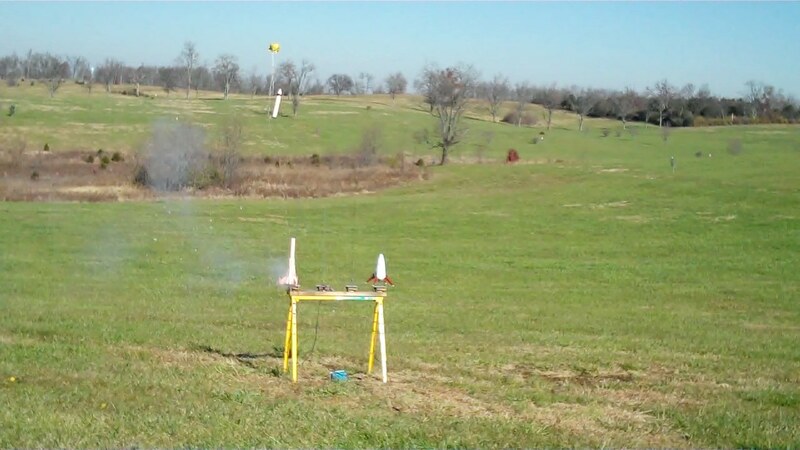 Joe launched his Witchcraft on a C6-3. Good Flight. 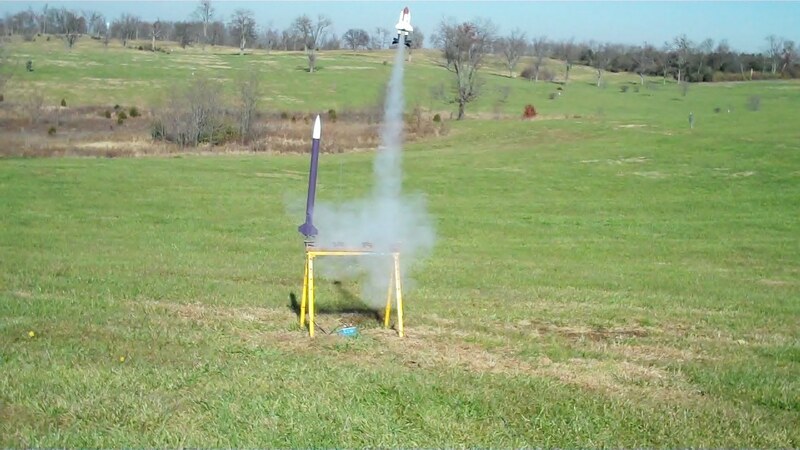 Joe's Mongoose two stage model made its maiden flight on a C6-0/C6-7 combination. 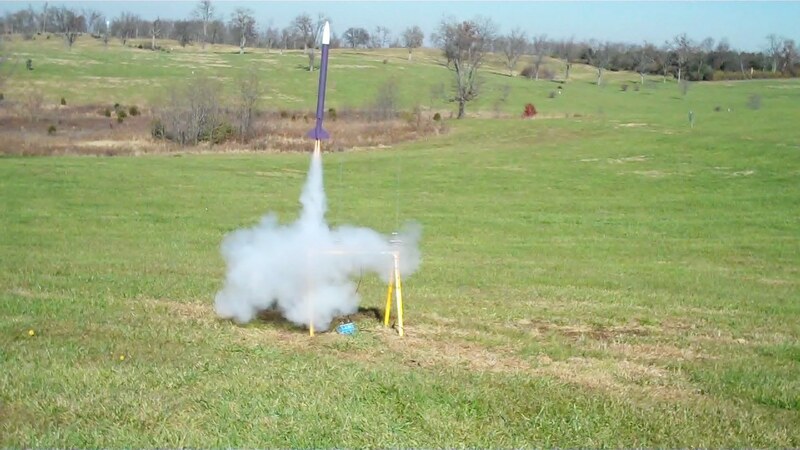 Good Flight Jeff recovered booster while Joe recovered sustainer just a few feet away from the playground west of the launch site. Jeff C launched his Black Brant on a D12-5. 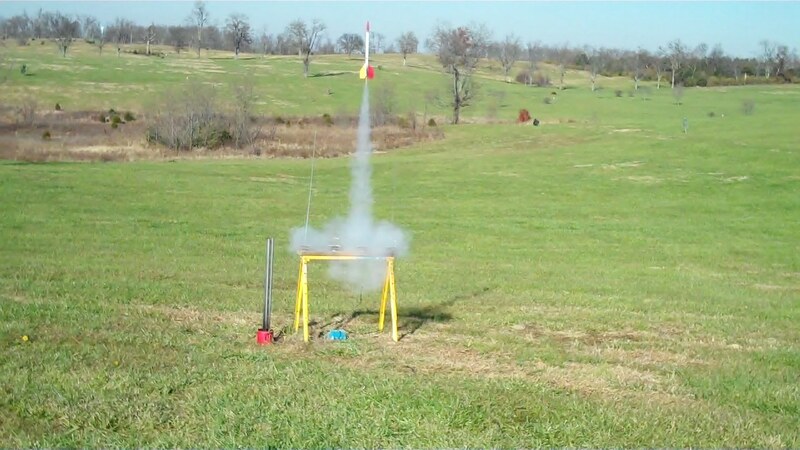 Great Liftoff flight and recovery. 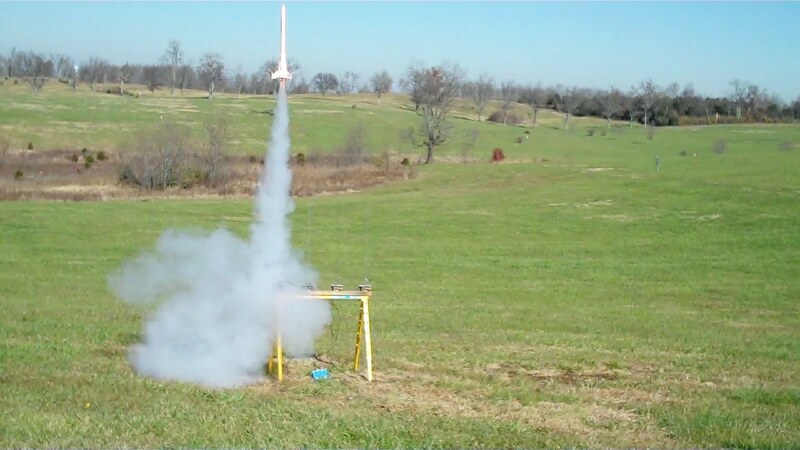 Darryl attempted to launch his Hydra 7 again with a cluster of 7 C6-7 motors. 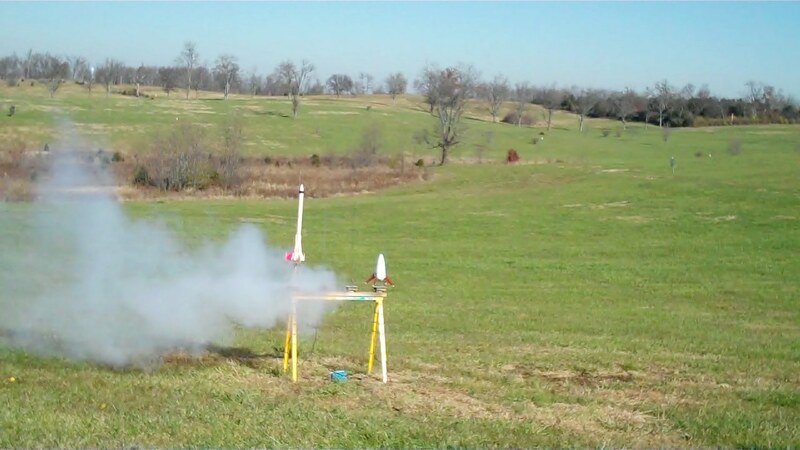 This time four of the seven lit and the model took off from the launch pad. Model landed on the asphalt causing some damage. Jeff d launched his Scratch Built on a F40-7. Great lift off with lots of flame and smoke. Nice straight flight. 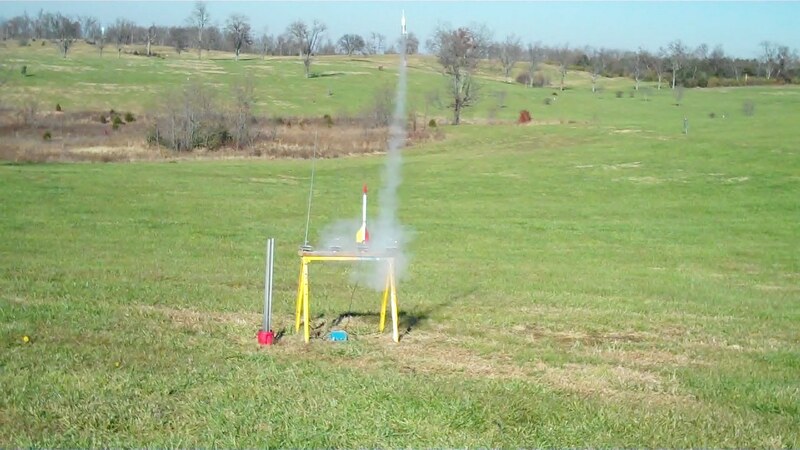 Jeff C launched his square Sky Spike on a C6-3 round motor. Jeff is looking for a square motor for the next launch. 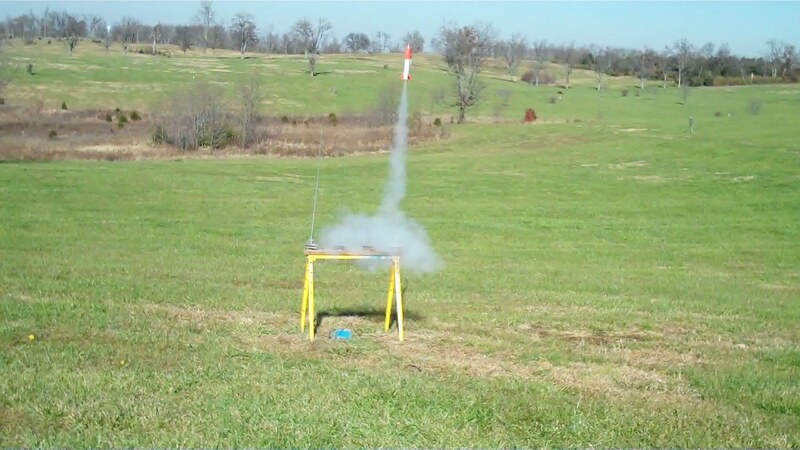 Joe launched his two stage Cloud Warrior on a B14-0/C6-7 motor combination. The B14-0 motor was manufactured on 7-2-1970 and still performed perfectly. 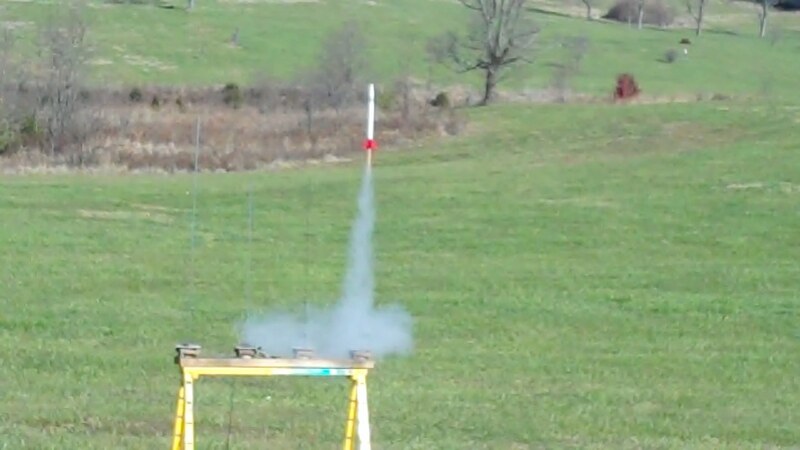 Darryl launched his Hydra 7 on 3 E9-6's and 4 D11P's. Model took off with blazing flames and bellowing smoke. Jeff d launched his LOC IV on 2 E9-6's. Great lift off and flight. Lots of flame and smoke. Great straight flight. 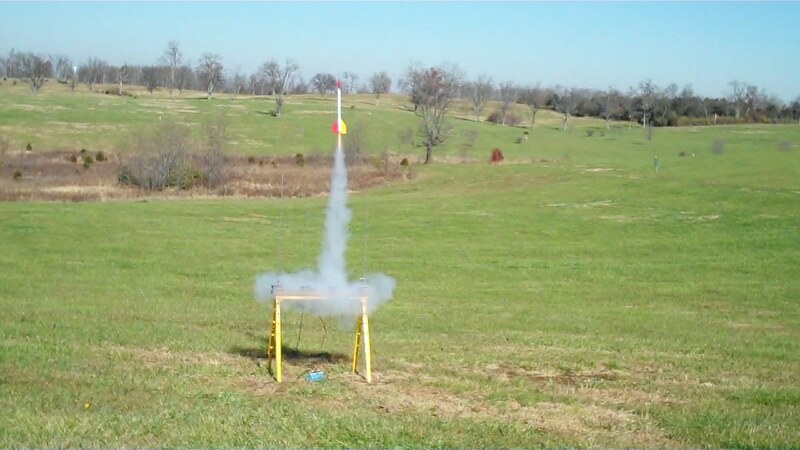 Jeff C launched his space shuttle on a C6-3 which went horizontal shortly after leaving the pad. Model landed before parachute ejection. No damage. Darryl launched his minimum diameter Sizzler on a C6-7. 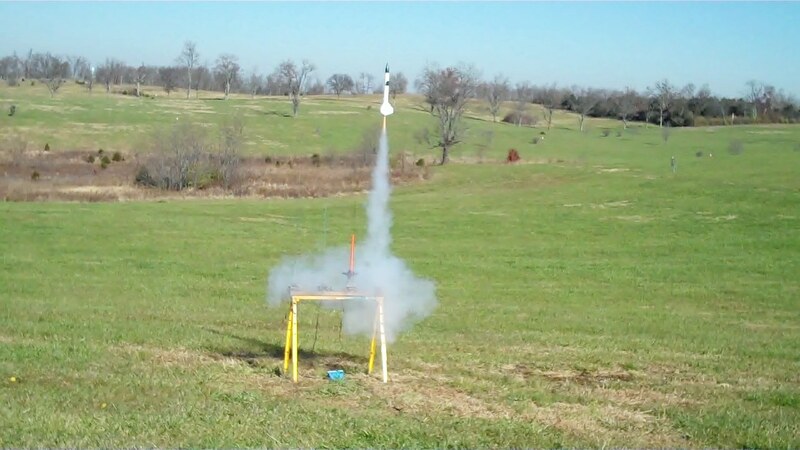 Great liftoff, flight and recovery. No damage. Joe launched his two stage Mongoose on a C6-0/C6-7 motor set. Good flight. Model landed just South of the playground to the West of the launch site. Jeff d launched his Door Knob on a C6-7. Good Flight. 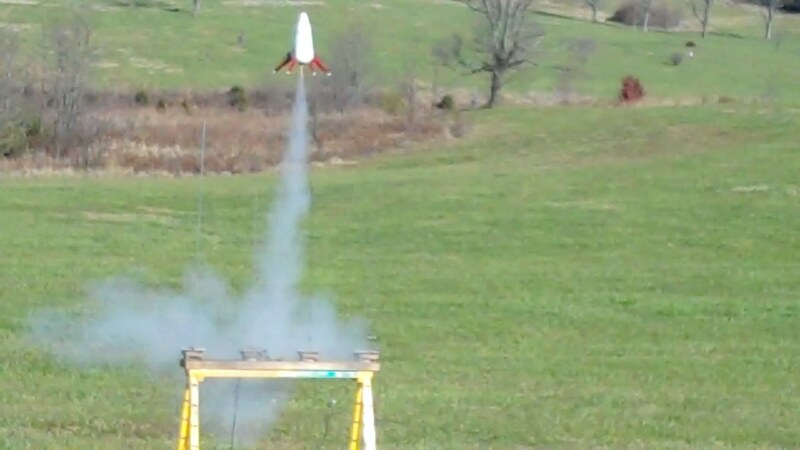 Jeff C launched his long lost SAM-3 on a B6-4. It made a great flight in spite of spending a month in a tree at ADC Park. Jeff C launched his Little Joe II on a A3-4T. During the flight the upper portion of the nose cone came off and the model landed on the asphalt. After looking for some time the capsule could not be found. Minimum damage. 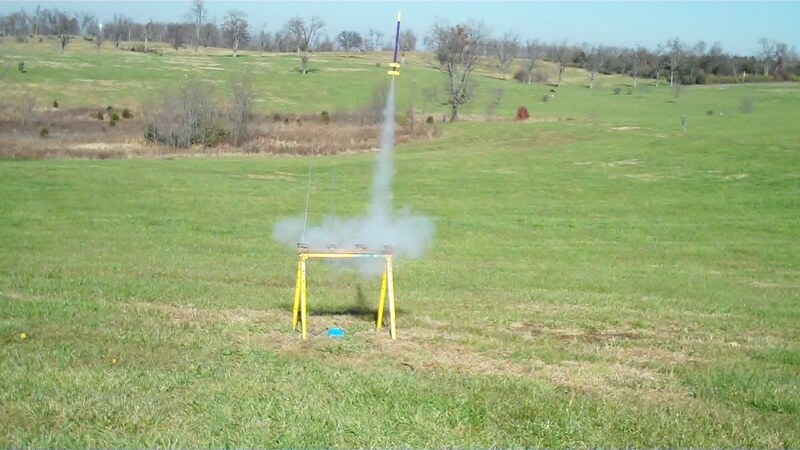 Joe launched his two stage Cloud Warrior on a C6-0/C6-7 motor set. Good flight. Model landed just South of the playground to the West of the launch site.